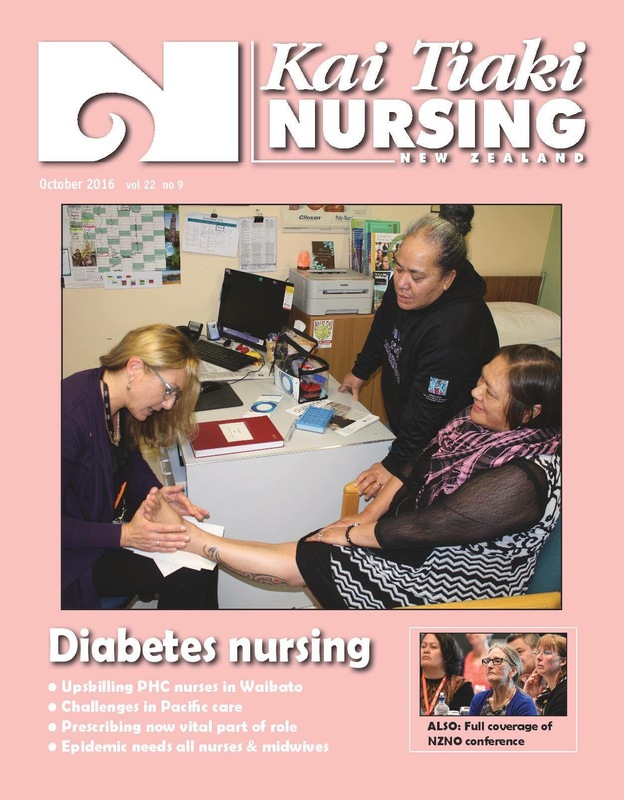 First published in Kai Tiaki Nursing New Zealand, October 2016. Reproduced with permission. “DID YOU notice that?” I asked. It was near the end of the first day of last month’s NZNO annual general meeting (AGM) and conference, and I was talking to NZNO vice-president Rosemary Minto. What I was asking about was something that lasted no more than five or 10 seconds, and happened during my opening speech. When I reported to the assembled delegates that our board of directors had reviewed NZNO’s investment portfolio, and had moved to divest any direct holdings in fossil fuel companies, the room erupted into applause. I was momentarily taken aback. I’d thought this was a fairly dry part of my speech, and didn’t expect such a reaction. So I said to Rosemary that when something unexpected like that happens, it tells us we need to update our assumptions. The health impacts of climate change, and the need to withdraw investment from fossil fuel extraction to shift towards a low- carbon economy – as explained by environmental group 350.org – were both put on NZNO’s agenda by a vote at last year’s AGM. And just as they were put on the agenda by NZNO members, it was ongoing activism by members which then made the divestment happen this year. Going by the spontaneous applause during my speech, this is clearly an issue which is widely and deeply felt. At the time of the 2015 AGM vote, large organisations in New Zealand were just starting to get behind fossil fuel divestment. The Presbyterian Church, Dunedin City Council and Victoria University voted to divest in 2014. The Royal Australasian College of Physicians and the Tertiary Education Union did the same in 2015. Since then, Otago University has voted to divest from fossil fuels, while Kiwisaver providers, the NZ Super Fund and Auckland Council, have ditched their shares in weapons manufacturers and unhealthy food brands and are reconsidering their fossil fuel investments. Could it be that when members call the shots, NZNO is more in tune with positive shifts in public attitudes and more able to make ethical decisions? The need for organisations to be member-driven was another theme which ran through our AGM and conference. Guest speaker Frances Hughes, who is chief executive of the International Council of Nurses, stressed the strategic direction of ICN was set by its 130 member organisations. There is no room for passive membership, she said. President of the Canadian Federation of Nurses Unions (CFNU) Linda Silas reminded us that NZNO members pay for all NZNO activities and salaries, right up to chief executive Memo Musa. “You have to listen to your members,” she said. It’s probably no coincidence that both speakers also talked about how their nursing organisations are now focusing on climate change as a determinant of health. This was the topic of one of the ICN interventions at this year’s World Health Assembly – the biennial meeting of health ministers, held under the auspices of the United Nations (UN). But for NZNO members to steer this organisation, you need to know what’s going on. So another link in this chain – stretching all the way from your workplace and community to the world-shaping decisions at the UN – was provided by an AGM vote for greater transparency. From now on, the agendas and minutes of NZNO board meetings will be available to members. Knowledge is power. And when NZNO members are empowered, then I believe we are better equipped to achieve NZNO’s strategic goals – including implementation of population health approaches which reduce health inequalities, and address determinants of health and those things that affect people’s ability to live well.